Hot Chocolate Latté blends need to feel warm and rich throughout the entire experience. Every aspect of the brand is meant to provide a consistent feeling. 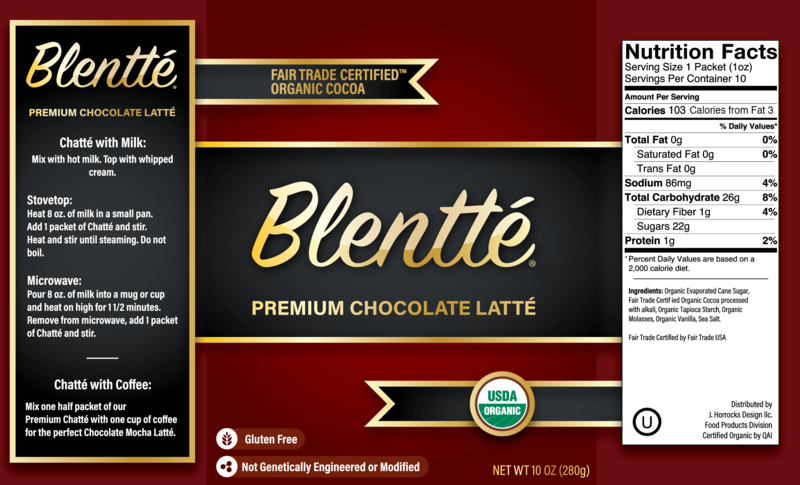 With Blentté we designed a product box with a deep red base color, and gold lettering to bring a sense of wealth to the chocolatey flavor inside this hot drink.